Peter and I have been having a serious love-in with Sony’s Vegas Video editing software this year. I’m a long-time Premiere user, but it hasn’t been getting a look in since I realised just how much faster it is for me to edit video with Vegas. I’ve had my eyes opened to the flow. 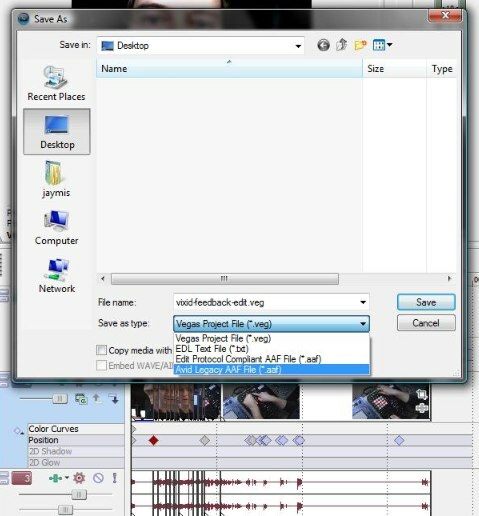 Vegas lets you make edits, rearrange, delete, fade, and layer clips without interrupting playback. As a VJ, of course I’m used to “editing live”, so when I tried to go back to the play-stop-edit-play workflow of Premiere, it felt completely unnatural and archaic. The one thing I’ve been missing is the tight integration between Premiere and After Effects. Vegas has some reasonably capable post-production tools, but as soon as things got beyond simple colour-correction or pan and scan, I would reach for After Effects, and things would get messy – exporting uncompressed AVIs, multi-layer exports… Unpleasant for everyone involved. 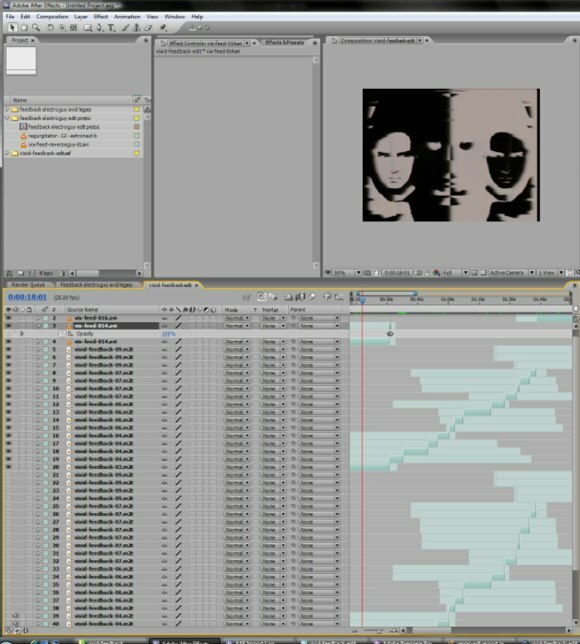 So, Peter and I were counting the ways we love Vegas, and I remarked that “if Vegas could save a file which could be imported in to AFX for post-production – absolute bliss”. I quickly followed this up with “it’s never going to happen”, and started to theorize about converting Vegas project files into XML to be then hacked into Premiere, while clicking around Vegas in a hopeful manner. Whoops! I seem to have stumbled upon an antiquated file format, which just happens to be supported by both Premiere and After Effects. Import is completely painless, and all of my relatively simple edits and fades made it through unscathed. I haven’t tried this process with any colour correction or layer moves, and I wouldn’t really expect them to come through as easily (if at all), but the point of this exercise was to meld the fast editing in Vegas with After Effects for post-production, and EDL export achieves it beautifully. We’ll have more to say about Vegas as we learn more and put together more quick projects and tutorials, and in the meantime, check out how Beeple uses Vegas for live AV performance.